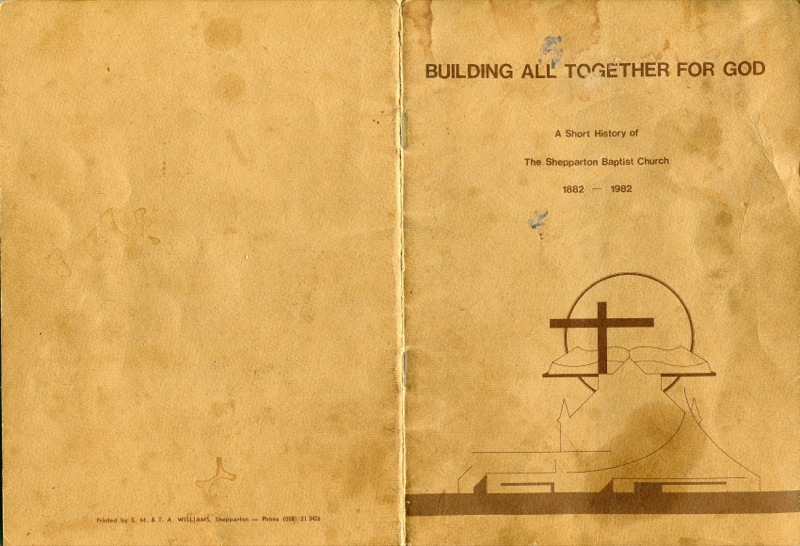 The earliest record of the work of the Baptist Church in the Shepparton district was April 9, 1882, when a morning service was held at Tatura, conducted by the Rev. C. Pickering, who had journeyed thither from Shepparton for the purpose. 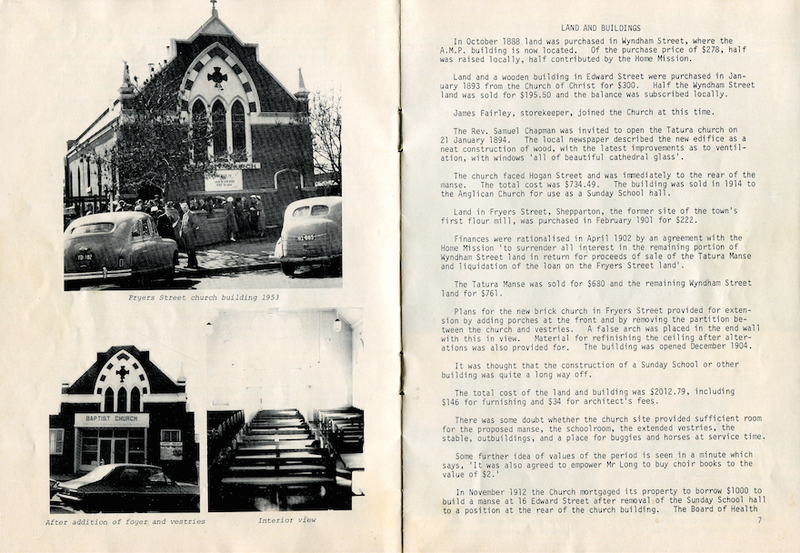 The same evening at 7 p.m. he conducted the first service in Shepparton. A week later, on April 16, the first baptismal service was held in Shepparton when three believers were immersed by the Rev. Pickering in the Goulburn River. They were two daughters and a son-in-law of Brother Long, of Avenel. Building All Together for Good. Purchase a PDF copy of this 22 page booklet with 16 photos.